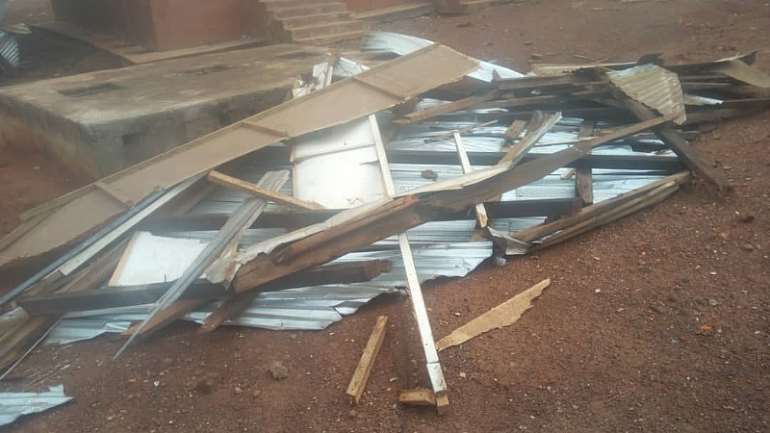 One person has been reported dead and several houses raised down following a rainstorm that hit the Kintampo North Municipality of Bono East Region. 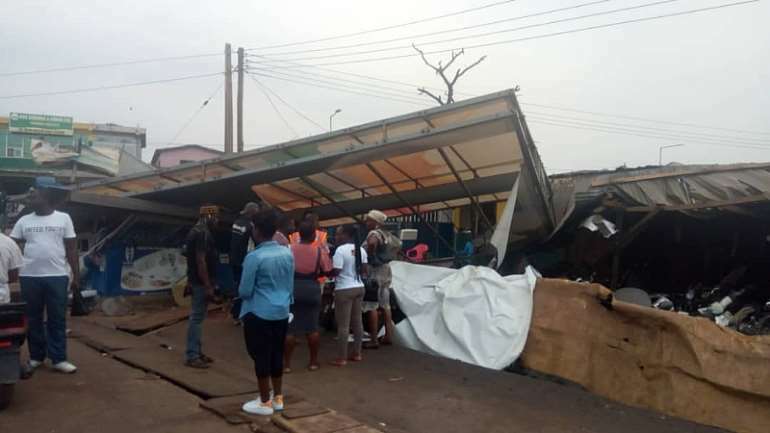 Stores at the Kintampo Market were destroyed and 13 persons also sustained injuries and are currently receiving treatment at the Kintampo Government Hospital. In the Northern Region, hundreds of residents have been rendered homeless at Kulnyavilla in the Sagnerigu municipality after the storm. When Citi News visited Kulnyavilla this morning, some affected residents were seen outside in the open with their belongings. The rain had left foodstuff such as cassava, maize and flour were also soaked children in the affected homes unable to go to school. In an interview with Citi News, affected residents said they had sought shelter from friends and families. Another resident Fati Alhassan said she was unable to salvage and foodstuff and appeals for help. “We could not pick anything, the rain-soaked all our foodstuffs. We need support ” she appealed. 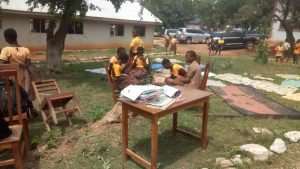 In the Jirapa municipality of the Upper West Region, at least one person was injured and some 200 persons displaced. About 30 houses were destroyed by the storm. The Municipal Chief Executive for Jirapa, Christine Bomannye Amadu, in an interview with Citi News, appealed to NADMO and benevolent individuals and institutions to urgently come to the aid of the affected persons. The Jirapa municipal director of the NADMO, Nuhu Abdul-Jalilu, however, said his outfit was unable to come to the aid of the affected victims. “We don't have any relief items in our wear house right now. So there is little we can do to support the victims. I have forwarded the reports to the regional office and we are waiting for their response “. The storm caused significant disruption in Kumasi on Thursday evening. Parts of the city flooded. One person was trapped in his vehicle after a giant billboard fell on it at Afful-Nkwanta in Kumasi. Eyewitnesses say, two people — the wife and child of the trapped victim — were rescued and rushed to the hospital.